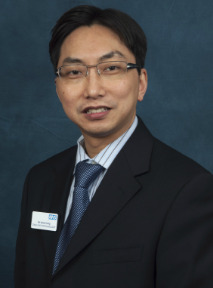 Mr Velota Sung is a Consultant Eye Surgeon with special interest in managing complex Glaucoma and Cataract conditions. He graduated from University of Wales, Cardiff, UK in 1993. He underwent the Specialist Registrar training programme at Queen’s Medical Centre, Nottingham. He undertook a prestigious Glaucoma Fellowship Training at Moorfields Eye Hospital, London before taking up my current consultant position in 2004. He was awarded a MSc in Medical Leadership degree from University of Warwick in 2013. He was the Lead Clinician for the Glaucoma Service at Birmingham and Midland Eye Centre between 2007 and 2012. He is currently the clinical director for Birmingham and Midland Eye Centre. He provides a supra-regional tertiary referral service for complex glaucoma including the renowned Childhood Glaucoma Service. He is also providing a high volume supra-regional glaucoma tube-shunt implant service. He is a pioneer in surgeries for angle closure, cataract surgeries for angle closure glaucoma, complex tube-shunt implant surgery for advanced glaucoma, and the novel endoscopic cataract removal surgery for patients with opaque cornea.